Our mission is to raise the standards of eye care for our children’s visual welfare. Our hope is that no child will experience school with an undetected and untreated eye or vision problem. The Vision First board of directors consists of volunteer parents, educators, eye doctors, and medical professionals. Vision First has no paid employees and there are no dues or membership fees to join the Kids Eyes Count Campaign. Vision First Foundation believes that by having our materials available on the website free of charge, we will touch more lives and help more children. Vision First Foundation incorporated in 2005 as a tax-exempt 501(c)(3) public charity. All donations are 100% tax-deductible as provided by law. Vision First aims to be one of the leading non-profit organizations for children. 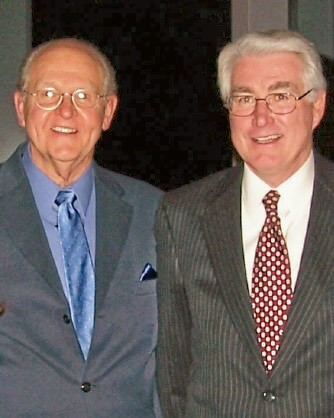 Dr. Kernis and Dr. Woods were dear friends and loyal supporters. They truly made a difference in the lives of so many people and are missed very, very much. Vision First honorary board members Dr. Albert Bucar and former Governor Jim Edgar hope you join the Vision First "Kids Eyes Count Campaign."